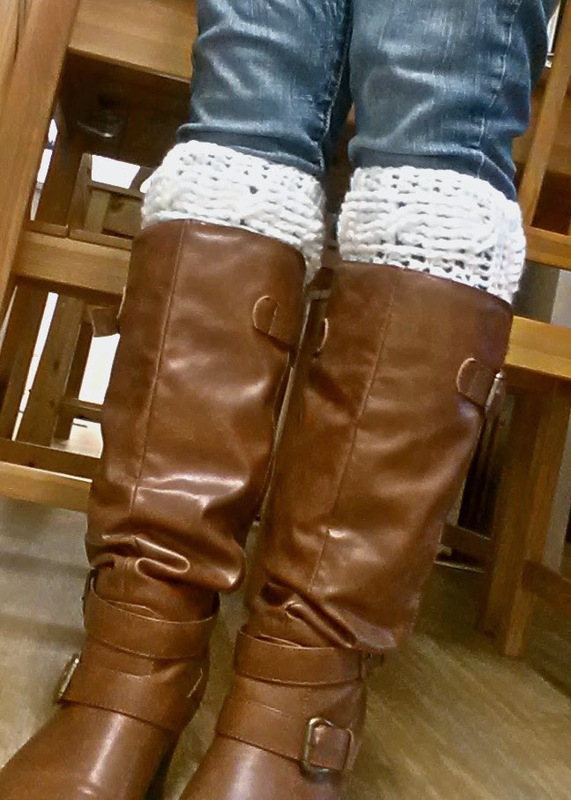 Boot cuffs are the perfect go-to cold weather accessory. They are stylish, functional, and comfortable too (less bulk than a full sock). Last year, my first ever Boot Cuffs Pattern was a hit, and I'm kind of bummed that I wasn't clever enough to come up with a better name for it. The Scalloped Boot Cuffs also seemed to be popular last year, with its elegant design peeking out the tops of boots. 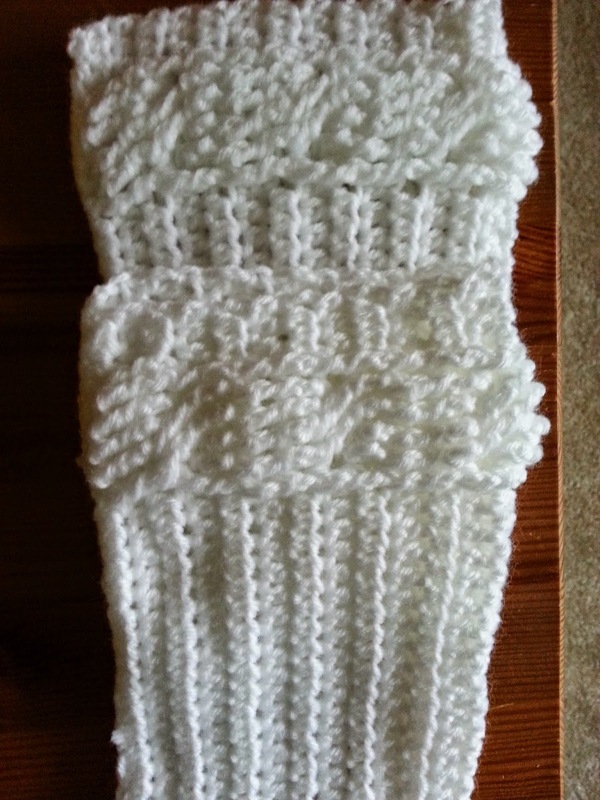 Finally, a new boot cuff design! Cold weather and crocheting go hand in hand for me. I love making scarves, beanies, and blankets. What's do you love to crochet when the weather gets colder? 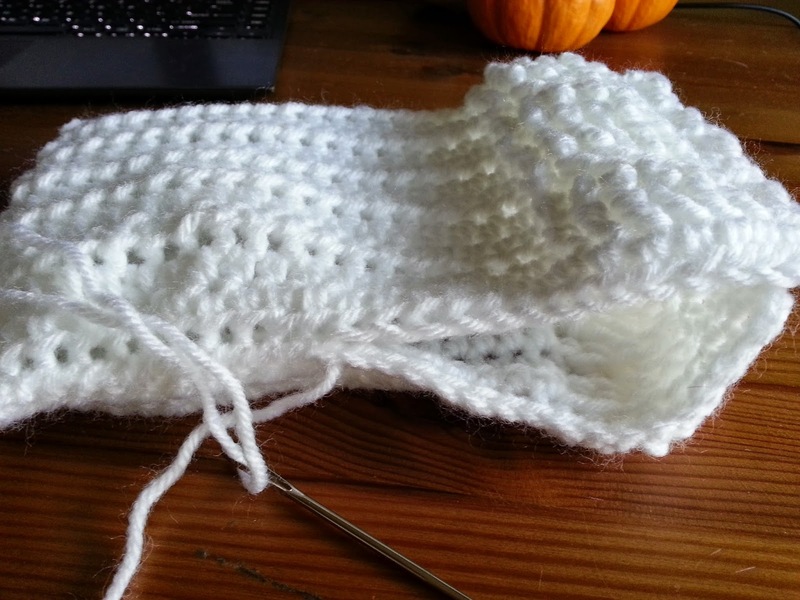 I've always loved cables, and I'll admit, I'm kind of jealous of how knitted cables turn out. Cables aren't just for knitters! 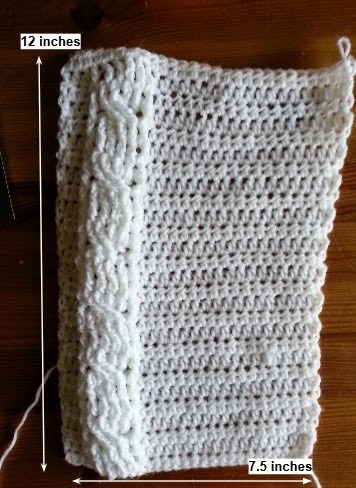 Once you learn the basic technique for crochet cables, you can apply them to so many different projects to create many designs. 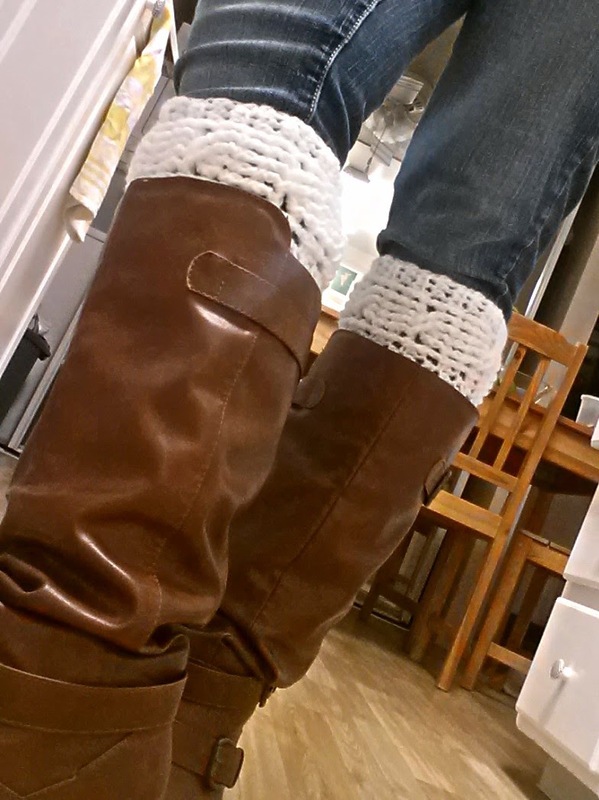 The boot cuffs in this pattern measure 8 in long and 7.5 in wide. 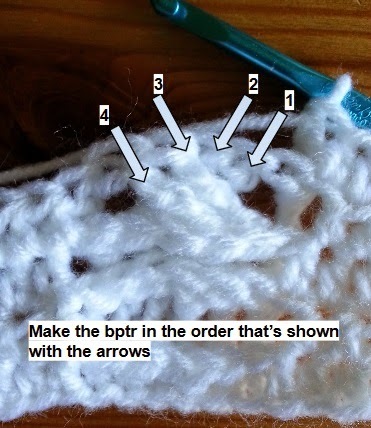 The pattern can easily be adjusted to any size, from toddlers to adults. 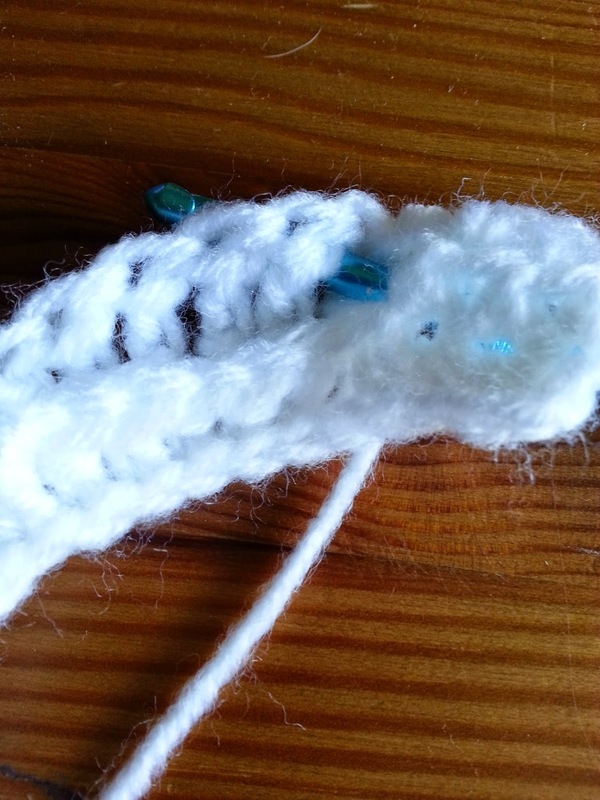 Yo, insert hook from back to front around the post (rather than the top of the stitch), pull up a loop. Yo, pull through two loops, yo pull through last remaining loops. 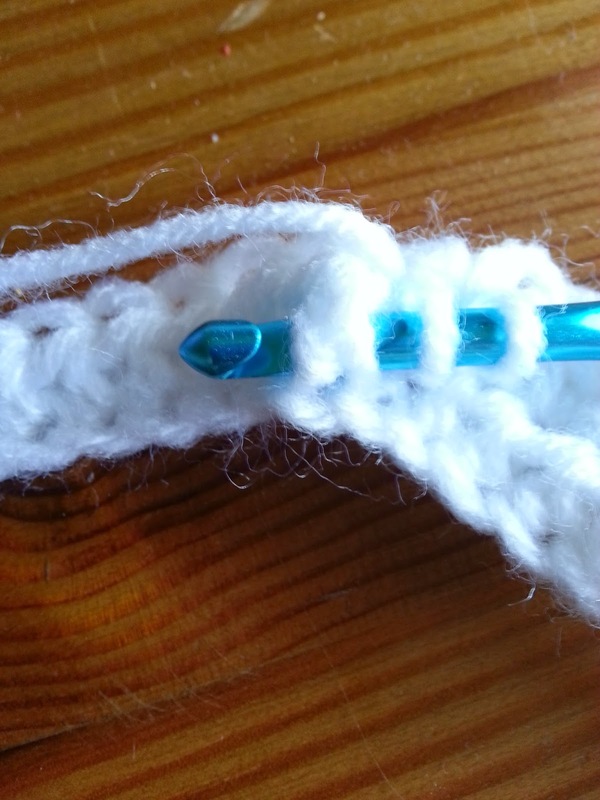 Yo, insert hook from front to back around the post (rather than the top of the stitch), pull up a loop. Yo, pull through two loops, yo pull through last remaining loops. Yo hook twice, insert hook from back to front around the post, pull up a loop. Yo, pull through two loops, yo, pull through two loops, yo, pull through last two loops. Yo hook twice, insert hook from front to back around the post, pull up a loop. Yo, pull through two loops, yo, pull through two loops, yo, pull through last two loops. When working fpdc/fptr, insert hook around the post from front to back. When working bpdc/bptr, insert hook around post from back to front. 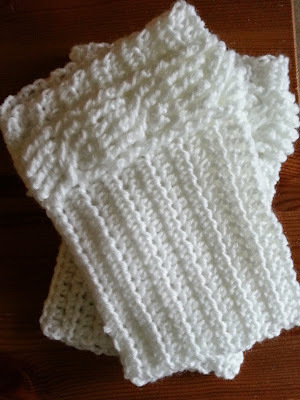 The boot cuff is first made in rows, then stitched together at the end. In the pattern, I made the dc and tr bold in the front/back post stitches since they are only different by two letters and can be easily mixed up. Ch 28. This is the length of the boot cuff. Hdc in 18 stitches. Fpdc in next stitch. Fptr in next 4 stitches. Fpdc in next stitch. Hdc in last 3 stitches. Ch 2 and turn. Hdc in 3 stitches. Bpdc in next stitch. Bptr in next 4 stitches. Bpdc in next stitch. Hdc in last 18 stitches. Ch 2 and turn. Hdc in 18 stitches. Fpdc in next stitch. Skip next 2 stitches. 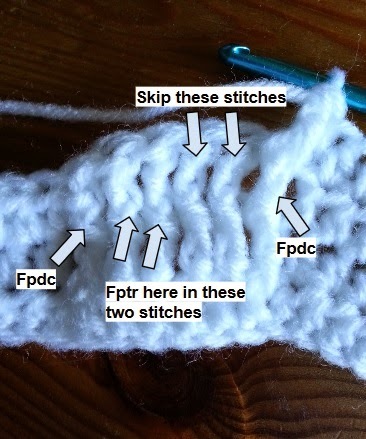 Fptr in next 2 stitches. 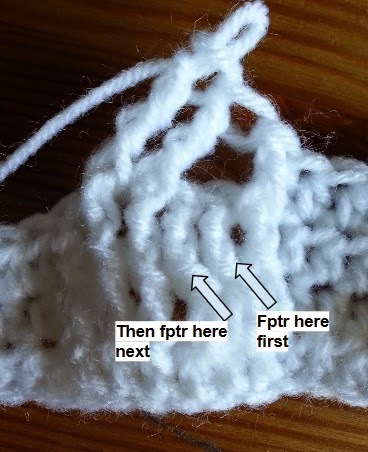 Working in the front of the 2 fptr just made, fptr in each of the 2 skipped stitches. Fpdc in next stitch. Hdc in last 3 stitches. Ch 2 and turn. This is the 'wrong' side when working the bptr after the cable twist row. Repeat Rows 5-8, ending on Row 2, until the boot cuff fits around your calf. Hdc in each stitch across. My boot cuff measured 12 in long and 7.5 in wide before seaming it. Fasten off, leaving a long tail to seam the cuff together. 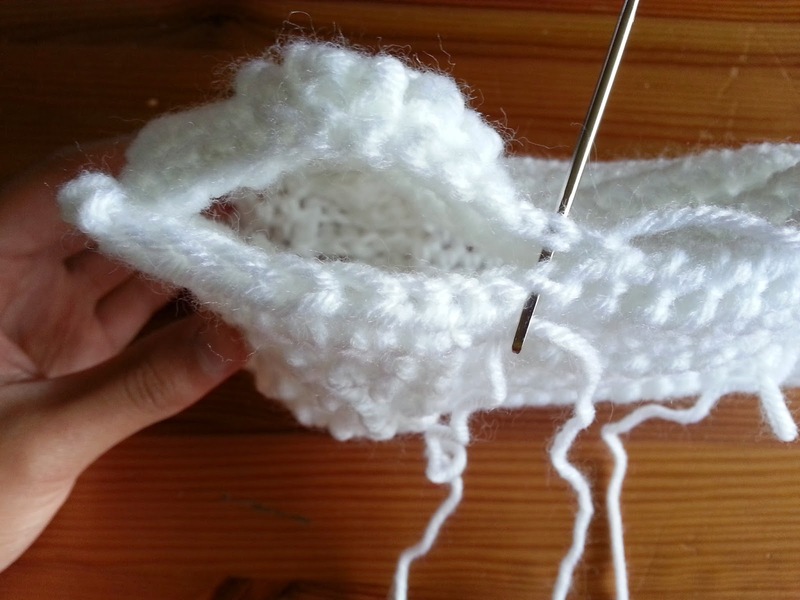 Fold the cuff in half and whip stitch the ends together with the tapestry needle. Fasten off and weave in ends. I put the seam on the side so that it's less noticeable, and I blocked them once finished. How do i print this pattern? I dont want to sit at my computer and crochet! Here is a link to the pattern that you can print. Happy crocheting!